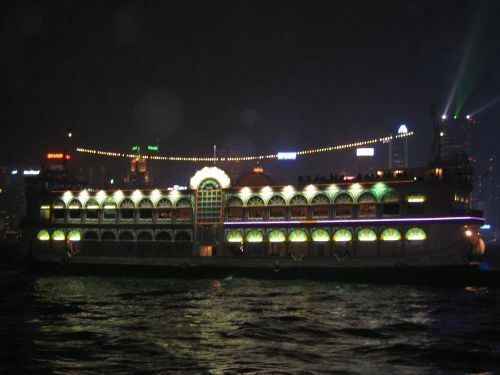 Hong Kong Harbour - Enjoy the open-bar hospitality at HK harbour, get onboard to a very unique cruise offering wonderful HK symphony of lights night shows. Here's your virtual guide to secure a perfect view spot and how to get there. Your stay in HK is incomplete without spending an evening at the Hong Kong harbour. You can enjoy a few drinks from the open bar on board an authentic Chinese Junk Harbour Cruise sailing along the kowloon promenade provides spectacular views of Hong Kong at night. 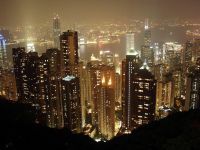 "Relax and enjoy the most spectacular views at victoria harbour". The Hong Kong harbor or victoria harbour not only shows a view strip of the great skyscrapers in Hong Kong island with very beautiful symphony of lights nightly show but also, it offers and provides a place for people to relax from the busy day, be it work or leisure. From Kowloon side, stroll to the Avenue of Stars and walk your way to Harbour City and the rest of Tsim Sha Tsui tourist attractions has to offer. book a room at InterContinental Hotel Hong Kong. - In addition to being located nearby some of the city most notable business addresses, this Hong Kong hotel is also close to cultural attractions. The Hong Kong Cultural Center is within a close distance, as is the Hong Kong Museum of Art. The Hong Kong International Airport is approximately 30 minutes from this hotel by car. There is a train station located close to the hotel, as well. The nearly 800 guestrooms in this hotel are provided with modern amenities. The Sheraton Hong Kong offers DVD players, MP3 player docks and a minibar among its leisure amenities. The hotel also provides Internet connections and a desk suitable for working among its practical in-room amenities. This hotel has two restaurants on the premises. They serve Chinese and Japanese fare. The Sheraton Hong Kong Hotel has a variety of meeting facilities, including standard meeting rooms and a large ballroom space. There is a cocktail lounge on the upper floors that provides a view of the surroundings. book a room at Sheraton Hotel & Towers Hong Kong. - The Peninsula Hong Kong has long been hailed as one of the finest hotels in the world. Created nearly 80 years ago in the glamorous 1920s, the legendary "Grande Dame of the Far East" continues to set hotel standards worldwide, offering a blend of the best of Eastern and Western hospitality in an atmosphere of unmatched classical grandeur and timeless elegance. The Peninsula Hong Kong offers the ultimate in luxury accommodations with the most spacious hotel rooms and suites in Hong Kong. Each one of the hotel's opulent guest rooms is comfortable and stylish and equipped with advanced technology for the convenience of hotel guests - underlined, of course, by the world-famous Peninsula service. The hotel's celebrated fleet of Rolls-Royce Extended Wheelbase Phantoms, together with The Peninsula's helicopter shuttle service from the hotel's rooftop helipad, offer hotel guests luxurious transportation to and from Hong Kong International Airport and around Hong Kong. The restaurants and bars at The Peninsula Hong Kong are among the most exclusive and most elegant in Hong Kong. Renowned as one of the best French restaurants in Asia, Gaddi's is Hong Kong's most elegant dining experience while Felix offers a sleek and stylish city rendezvous with stunning views across the harbor. Afternoon tea at The Peninsula's Lobby is a Hong Kong institution, and the best authentic Cantonese food in town is served in Spring Moon. The hotel features a state-of-the-art fitness center and a huge Roman-style swimming pool. The pool opens onto the hotel's sun terrace, providing an incredible view of Victoria Harbor and Hong Kong Island. The new Peninsula Spa by ESPA is a harmonious combination of The Peninsula's legendary service and the world's leading spa consultancy, ESPA, offering luxurious bespoke treatments for both body and mind. The hotel offers airport transfer, baby sitting service, banquet facilities, bar, beauty salon/ hairdresser, business center, concierge, conference facilities, currency exchange, disabled facilities, doctor on call, dry cleaning, gift shop, high speed Internet access, wireless Internet access, laundry service, lift/ elevator, lobby, non smoking rooms, parking facilities - at cost, reception, restaurant, room service, room service - 24 hours, safe deposit box, secretarial services and tour desk. It's a smoke free hotel. book a room at The Peninsula Hotel Hong Kong. - Situated in the business, entertainment, and shopping district of Hong Kong, the Renaissance Kowloon provides guests with many area attractions all within walking distance. Guests will enjoy a short walk to such locations as the Avenue of Stars, the New World Shopping Center, Nathan Road, the Night Market, the Ladies Market, and local museums. Victoria Park and the Hong Kong Convention Center are both less than two miles away from this Hong Kong hotel. Amenities provided to guests by the hotel include two restaurants, a lounge, a coffee shop, a fitness center, a swimming pool, banquet facilities, and meeting rooms. The Renaissance Kowloon HK is conveniently situated within walking distance of a mass transit station, a railway station, a bus terminal, and a ferry. The 545 rooms at the Renaissance Kowloon Hong Kong offer many amenities, including 24-hour room service, down comforters, upgraded bedding, high-speed Internet access, cable television, coffeemakers, minibars, refrigerators, bathrobes, separate showers, and air-conditioning. The Renaissance Kowloon Hotel is a 14-story accommodation, housed in a historic building, providing guests with a central location to shopping, business, and entertainment. book a room at Renaissance Kowloon Hotel Hong Kong. Hong Kong's Symphony of Lights show has been awarded the world's 'Largest Permanent Light and Sound Show' by the Guinness Book of World Records. The Symphony of Lights (with Music). Hong Kong harbour at night. Ferry ride in victoria harbour at night. Hong Kong harbour is home to most of the port facilities of Hong Kong, making Hong Kong amongst the world's busiest city. Consider this Star Ferry's Hong Kong Harbour Tour when you visit the victoria harbor. Enjoy unobstructed views of a Symphony of Lights, ranked the world's "Largest Permanent Light and Sound Show" by Guiness World Records. A FREE non-alcoholic drink and snack included in your wonderful night date ever. Departure time: 7:05pm at Tsim Sha Tsui Star Ferry Pier, Kowloon. Price: HK$120 per adult; HK$108 per child (2-12 yrs. old) / seniors (65 yrs old and up) / disabled travellers. Tour Languages: English / Chinese - Putonghua / Japanese recorded commentary. Also the Watertours of Hong Kong Ltd.
Sail on a sightseeing Chinese boat around Victoria Harbour taking in views of the Kowloon peninsula and the north shore of Hong Kong Island. Unlimited supply of drinks in menu on board. 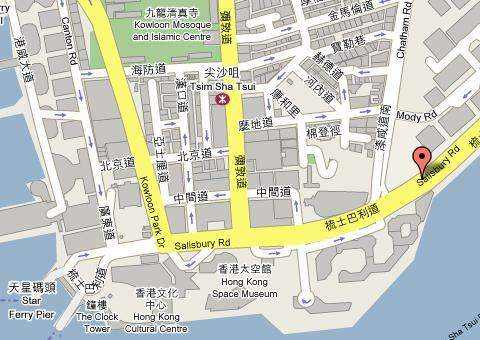 Departure time: 7:30pm at Queen's Pier, Central and 7:45pm at Kowloon Public Pier, Tsim Sha Tsui. Price: HK$290 per adult; HK$200 per child (2-12 yrs. old). Explore more places to enjoy at Hong Kong harbour and the new avenue of stars tourist attractions.